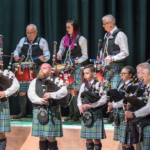 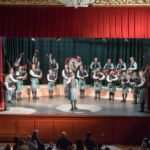 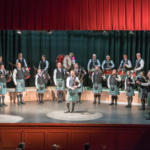 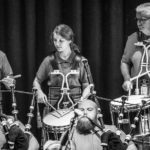 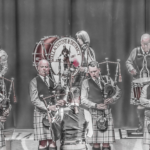 The new competition season is now upon us and the band will take part in the grade 2 contest at the British Championships to be held in Paisley on Saturday 19th May. 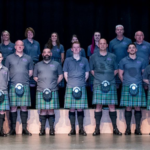 This should be a challenging season for the band having been promoted twice in two years and will be playing in the second grade for the first time in many years. 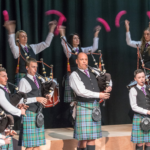 Good luck to the band, who have had to work hard over the winter, but are ready to give it their best. 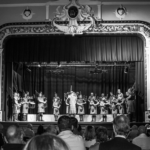 Last month’s “There and Back Again” concert was a huge success with the band doing their reputation nothing but good. 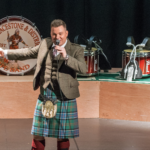 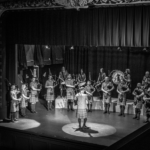 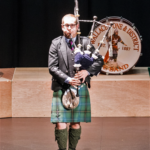 Thanks again to guest soloists Ally Henderson and Ben Duncan for their contribution and also to former piper Stuart Cassells, who did a superb job as MC and was even persuaded to change into the band’s kilt later in the evening. 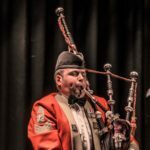 The event was photographed by Kenny Ritchie and a small sample of his wonderful photos are attached here and the link below should take you to his page and almost 200 photos recording the evenings proceedings.